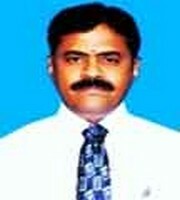 Dr. Palakurthy Dinakar is an Asst. Professor and Head Dept. of English at Government Degree & PG College, KORATLA, Dist: Jagtial of Telangana State. He has more than two decades of experience in teaching English language and literature at various levels. He received Gold Medal in MA English and first rank in MPhil and did his Ph.D. from Kakatiya University. He has PGCTE and P.G.D.T.E. from EFLU, Hyderabad. He was the first ranker among the south Indian participants in Teacher Development programme, RIE, Bangalore. He presented papers in 4 International and 28 National Seminars and published 42 research articles in edited anthologies and scholarly journals. 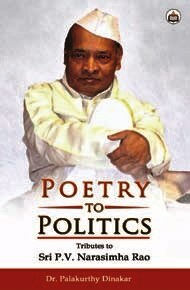 He translated more than 60 poems and a dozen short stories and three booklets from Telugu to English. He received best teacher awards from the state government, teacher organizations and NGOs. 1. Pedagogy of English at Primary Level.Neel Kamal, Hyderbad, 2017. Proficiency in English. Neel Kamal, Hyderabad, 2016. English for Enrichment. Oxford University Press, New Delhi, 2016. Teaching English through Discourse Oriented Pedagogy, Neelkamal, Hyd, 2016. Yoga and Self Development, Neelkamal, Hyderabad, 2016. Our World through English, Class VI Text Book, Govt. of A.P. Hyderabad. 2012. 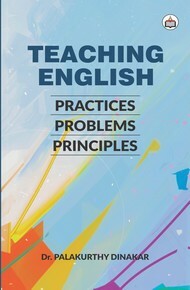 English for Communication, S.S. Publications, Hanamkonda, 2011. Personality Development &Communicative English, SDLCE, K.U., Warangal, 2009. Yoga Mariyu Sweeya Abhivrudhi, Neelkamal, Hyderabad, 2016. Life Skills Education, Neelkamal, Hyderabad, 2016. Portrayal of Women in Colonial and Post-Colonial Literature: Multiple Perspectives and Narratives, HISS, Hyderabad. 2014. A Course on Discourse, ELTA ELT News, Warangal, 2014. ELTA ELT News (ELT Journal), Warangal from 2003 to 2013.